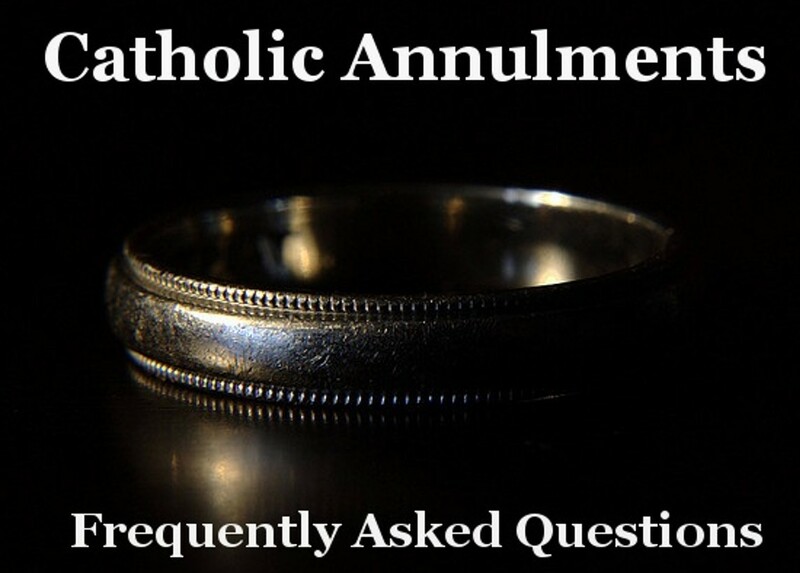 "What is a Catholic Annulment?" "What is a Catholic Annulment?" "Annulment"is an unfortunate word that is sometimes used to refer to a Catholic "declaration of nullity." Actually, nothing is made null through the process. Rather, a Church tribunal (a Catholic Church court) declares that a marriage thought to be valid according to Church law actually fell short of at least one of the essential elements required for a binding union. A valid Catholic marriage results from five elements: (1) the spouses are free to marry; (2) they freely exchange their consent; (3) in consenting to marry, they have the intention to marry for life, to be faithful to one another and be open to children; (4) they intend the good of each other; and (5) their consent is given in the presence of two witnesses and before a properly authorized Church minister. Exceptions to the last requirement must be approved by church authority. Why does the Church require a divorced Catholic to obtain a declaration of nullity before re-marrying in the Church? The Church presumes that marriages are valid and lifelong; therefore, unless the ex-spouse has died, the Church requires the divorced Catholic to obtain a declaration of nullity before re-marrying. The tribunal process seeks to determine if something essential was missing from the relationship from the moment of consent, that is, the time of the wedding. If so, the Church can declare that a valid marriage never actually brought occurred on the wedding day. What does the tribunal process involve? Several steps are involved. The person who is asking for the declaration of nullity (the petitioner) submits written testimony about the marriage and a list of persons who are familiar with the marriage. These people must be willing to answer questions about the spouses and the marriage. The tribunal will contact the ex-spouse (the respondent), who has a right to be involved. The respondent's cooperation is welcome but not essential. In some cases the respondent does not wish to become involved; the case can still move forward. Both the petitioner and the respondent can read the testimony submitted, except that protected by civil law (for example, counseling records). Each party may appoint a Church advocate who could represent the person before the tribunal. A representative for the Church, called the defender of the bond, argues for the validity of the marriage. After the tribunal has reached a decision, it is reviewed by a second tribunal. Both parties can participate in this second review as well. How long does the process take? It can vary from diocese to diocese, often taking 12 to 18 months or longer in some cases. The diocesan tribunal may be able to give you a more exact estimate. How can a couple married for many years present a case?The tribunal process examines the events leading up to, and at the time of, the wedding ceremony, in an effort to determine whether what was required for a valid marriage was ever brought about. The length of common life is not proof of validity but a long marriage does provide evidence that a couple had some capacity for a life-long commitment. It does not prove or disprove the existence of a valid marriage bond. If a marriage is declared null, does it mean that the marriage never existed? No. It means it was not valid according to Church law. A declaration of nullity does not deny that a relationship existed. It simply states that the relationship was missing something that the Church requires for a sacramental marriage. If a marriage is annulled, are the children considered illegitimate? No. A declaration of nullity has no effect on the legitimacy of children, since the child's mother and father were presumed to be married at the time that the child was born. Legitimacy depends on civil law. Since I do not plan to re-marry, why should I present a marriage case? Some people find that simply writing out their testimony helps them to understand what went wrong and why. They gain insights into themselves. Others say that the process allowed them to tell their whole story for the first time to someone who was willing to listen. Many find that the process helped them to let go of their former relationship, heal their hurts, and move on with their lives. A person cannot know today if they might want to marry in the future when crucial witnesses may be deceased or their own memories may have dimmed. Why does the Catholic Church require an intended spouse, who is divorced but not Catholic, to obtain an annulment before marrying in the Catholic Church? The Catholic Church respects all marriages and presumes that they are valid. Thus, for example, it considers the marriages of two Protestant, Jewish, or even nonbelieving persons to be binding for life. The Church requires a declaration of nullity to establish that an essential element was missing in that previous union preventing it from being a valid marriage. This is often a difficult and emotional issue. If the intended spouse comes from a faith tradition that accepts divorce and remarriage, it may be hard for them to understand why they must go through the Catholic tribunal process. Couples in this situation may find it helpful to talk with a priest or deacon. To go through the process can be a sign of great love of the non-Catholic for their intended spouse. My fiancé and I want to marry in the Catholic Church. He has been married before and has applied for an annulment. When can we set a date for our wedding? You should not set a date until the annulment has been finalized. First, his petition may not be granted. Second, even if the petition is eventually granted, there may be unexpected delays in the process. Many pastors will not allow the couple to set a date until the petition is officially approved. To begin your own annulment process, please contact the Parish Annulment Facilitators, Deacon Joe & Lorraine Mizerski, at (626) 282-2744, ext. 333.